The image sequence above shows the partially eclipsed Moon rising over the Parthenon in Athens, Greece on December 10, 2011. Philopappou Hill, the hill opposite to the Acropolis, offered an interesting perspective to capture this lunar eclipse. Totality was noted in Australia and most of Asia as well as portions of western North America. Totality was not visible in Greece, where the full Moon rose after the Earth’s shadow had already covered the lunar disk. Nevertheless, the partial phase of the eclipse was quite attention getting. 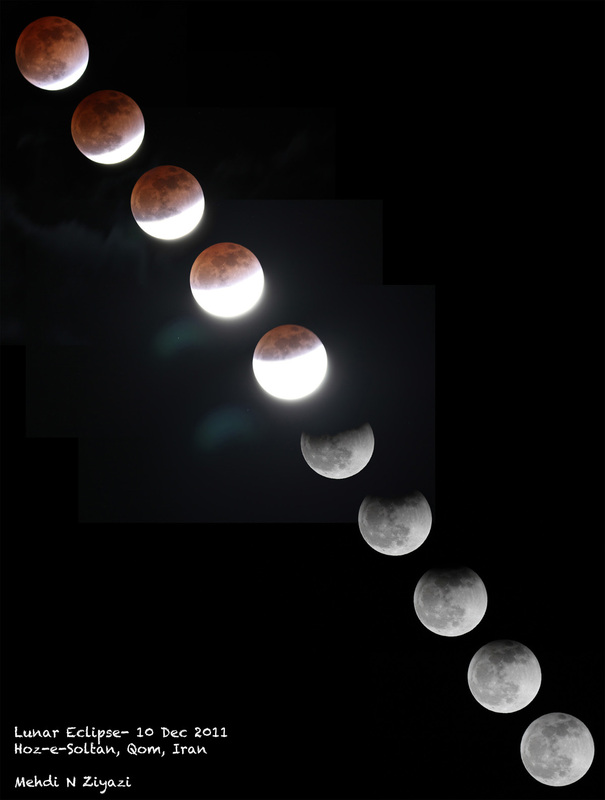 This was the last total lunar eclipse until April 2014. To view an animation of the total eclipse sequence as observed by Mona Sorayaei from Deh Namak, Garmsar, Iran, click here.